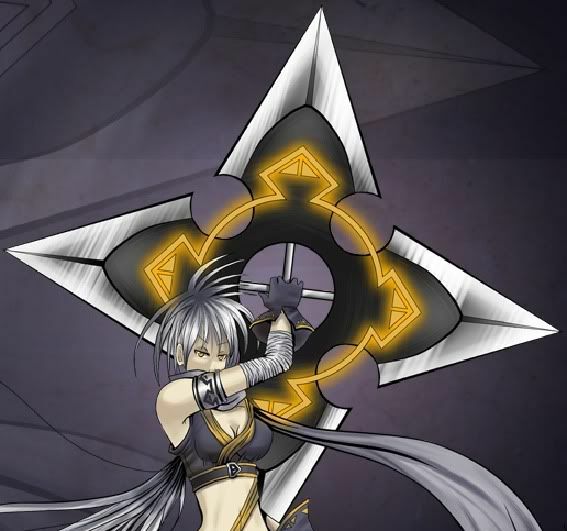 Description: Large shuriken, capable of being thrown at high velocities. Using the Bounce/Return ability that throwable ranged core weapons have, it will always return to my hand after being thrown, even if it hits something or doesn't. Edges are very sharp, enough by themselves to slice cleanly through medium grade metals while airborne.